Catch up with #16 here. Man this was an early start, Way too early for two girls who had been to a gig the night before... not the mention the 'couple' of vodka we had downed! But we had a trip planned and it was booked and paid for so we solidered on! 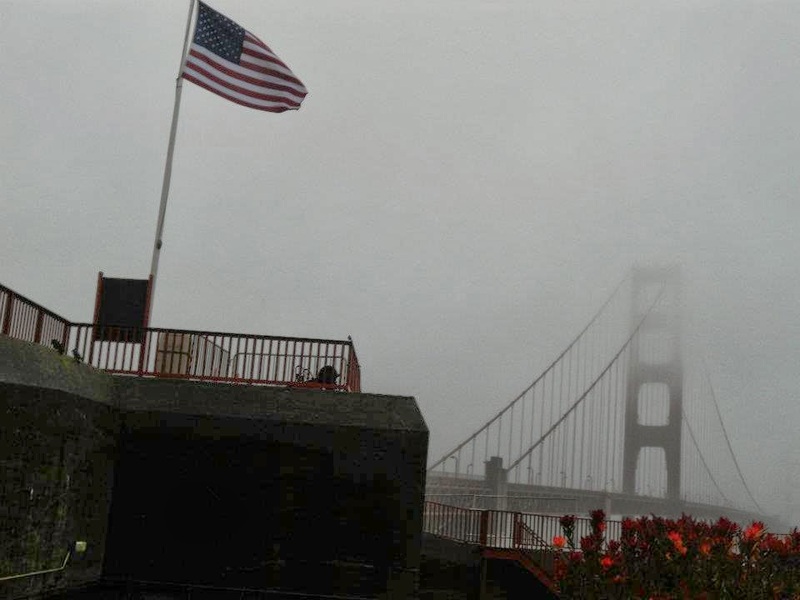 When we added San Francisco into our travel plans we knew we wanted to go to Alcatraz and well the Golden Gate bridge is just an obvious thing to want to see right? 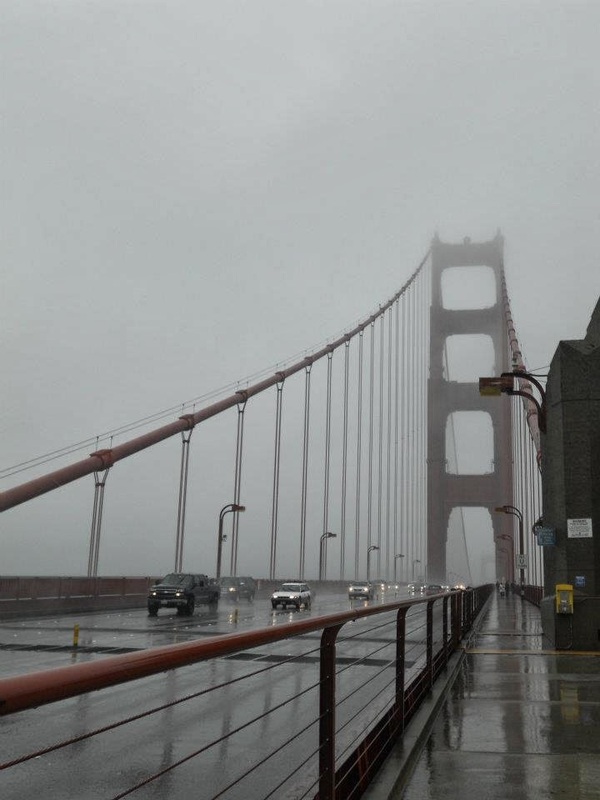 We had imagined cruising along the bridge in shorts and a t-shirt on bikes taking in the California sites............ well this did not happen! The weather was horrendous so it was blooming well lucky we had booked this city coach tour! 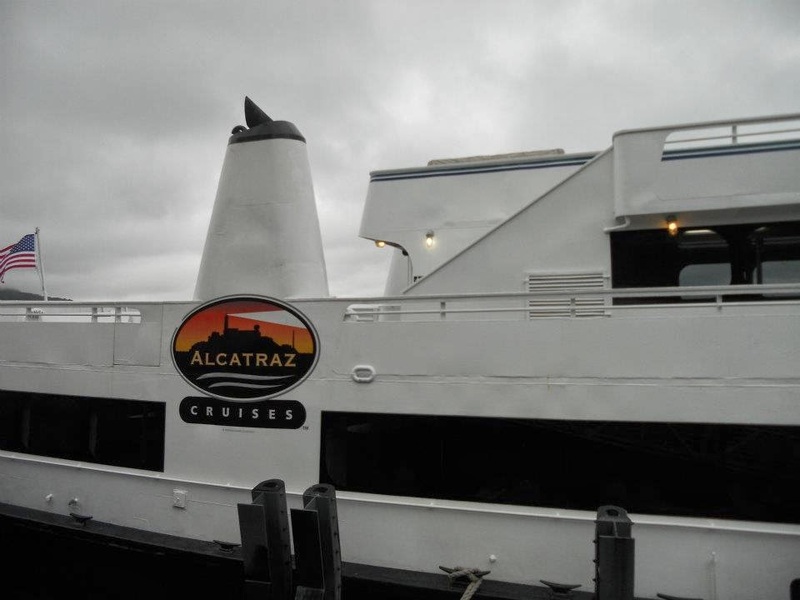 This was the Alcatraz and San Francisco City Tour from Viator if any of you are wondering and at under $50 each it is a total bargain that I would recommend to anyone! 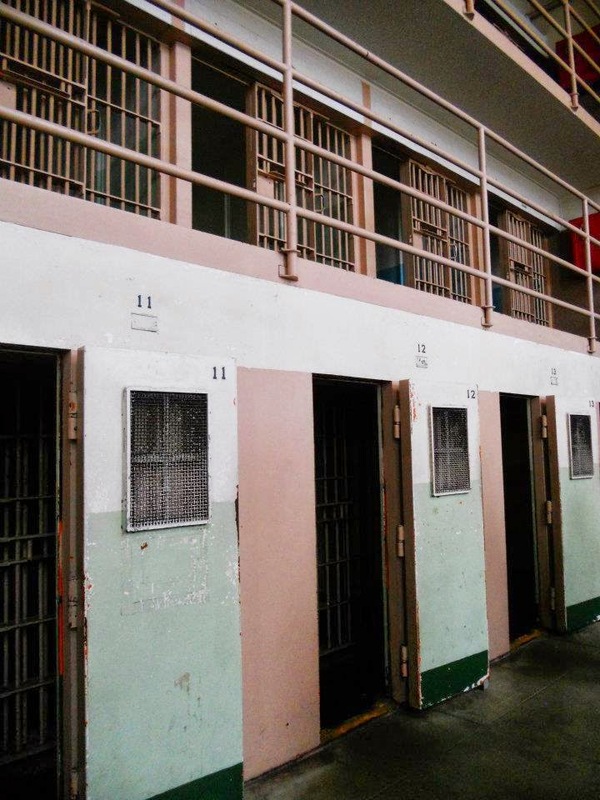 We were then taken to the main office of the travel company and told which group we were in - either tour then Alcatraz or Alcatraz and then the tour. As we were both a little sleepy still I was so glad to find out we were heading on the city tour first! A nice sit down on the coach, feet up and take in the sites! 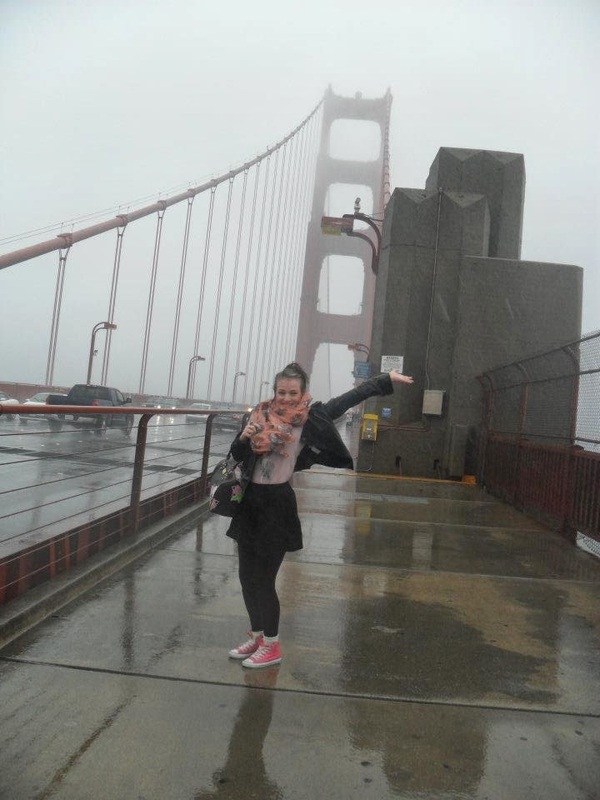 First stop the Golden Gate Bridge!! We parked up in a nearby car park and were offered the choice to get out and go for a walk upto the bridge - now some people turned this down because of the weather but there was noway we were missing out on this chance, especially as this was probably the only time were going to be able to get to the bridge! 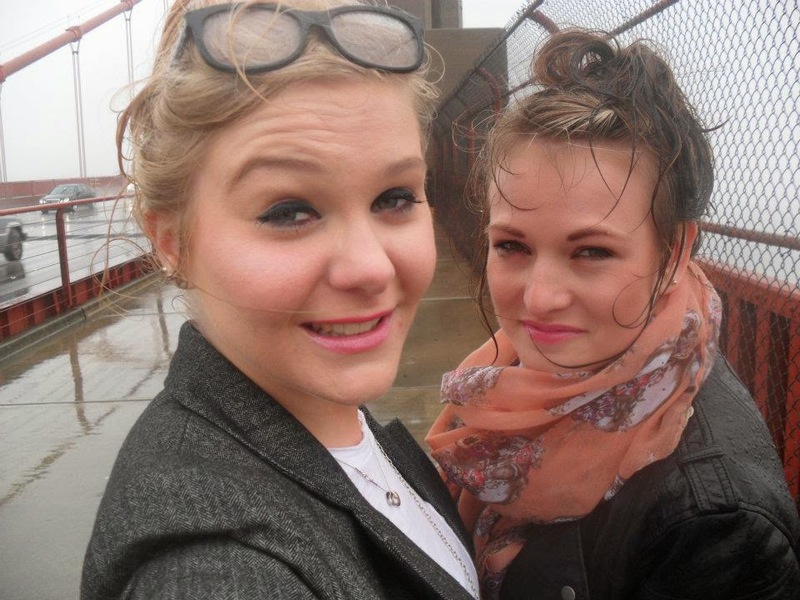 So out we went, prepared to be wind swept and with an umbrella in hand - and it was hilarious! I hadn't been in that much rain in a long long time - and that says alot for someone who lives in England! We only had 20 minutes or so that I remember but we didn't need alot of time out in that crazy storm! We were literally soaking after this - everyone on the coach actually laughed at us when we clambered back on, make-up down our faces and drenched clothes! Needless to say that woke us up! We then popped to a local supermarket so we could get some food for the morning ahead! All I remember buying was a creme egg -- I'm sure I bought like a bag full of food though! We then had the tour around the city which was awesome! 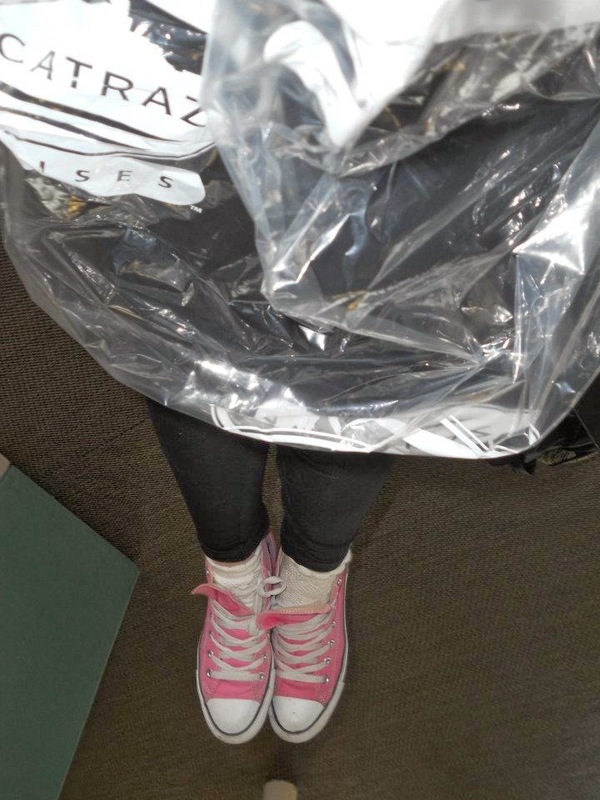 We learnt and saw so much - the only downside was the weather - but what can ya do?! Poncho's on, we headed to the ferry! I was really looking forward to this, I find things like this so interesting and couldn't wait to go on the tour and hear all the stories that came from this place! 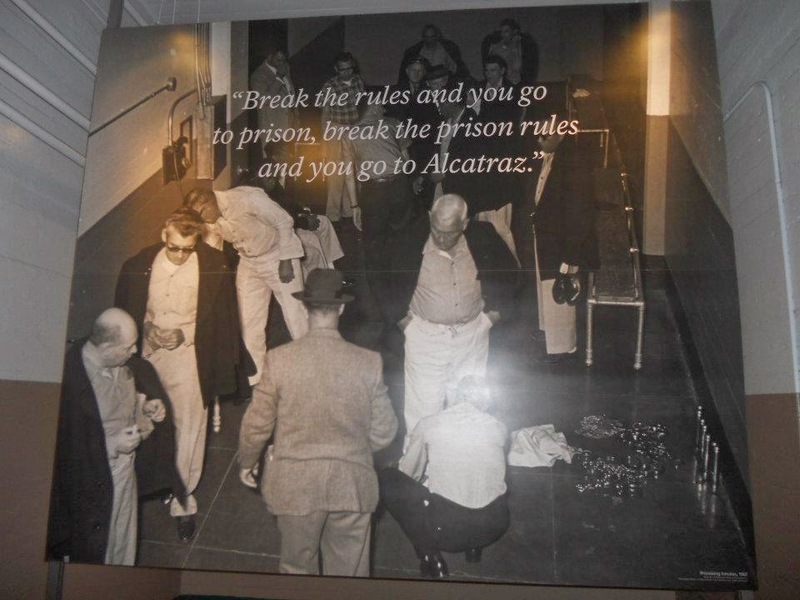 I highly recommend if you ever get the chance to go to San Fransisco to go to Alcatraz! It is one of the most interesting places I've ever been! The tour is so well organised, you just get your own headset in your chosen language and it just guides you round the prison - narrated by former inmates and officers! So many stories and it really is an eye-opener! This trip was a total bargain - under $50 to do and see everything - fantastic!! Hi, was looking forward to reading this and seeing your photos. Sounds like a great trip and bought back great memories of when I was there. Though it was slightly better weather when I went! 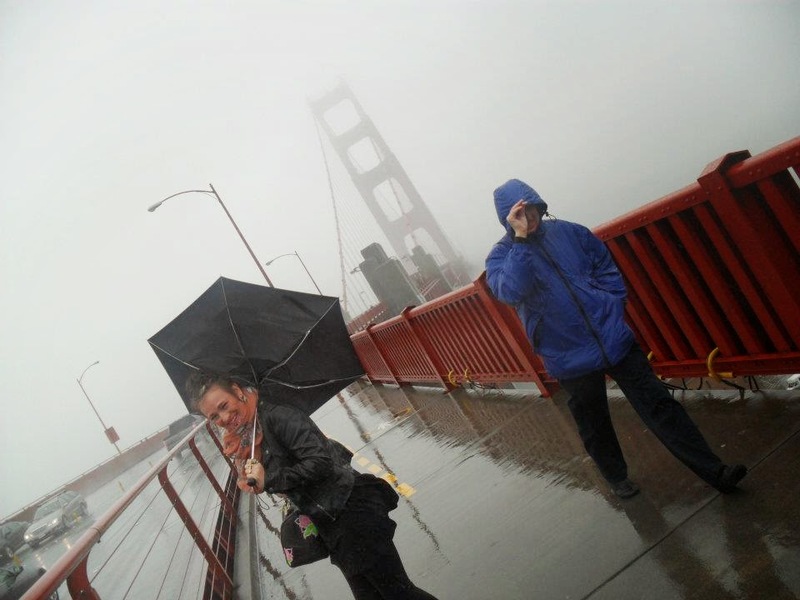 Can't believe some people didn't get off the coach to see the bridge! You just have too. Thanks for sharing. I am so jealous! 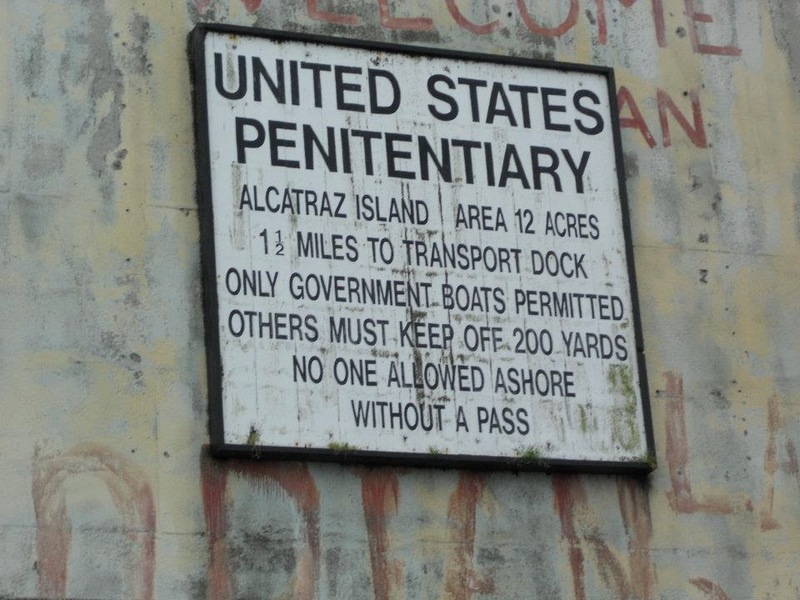 I've always wanted to go to Alcatraz. Looks like you had such a good time.